A great Plain jump for any event. With many themes to choose from this bounce house can add custom fun and flair to any event. 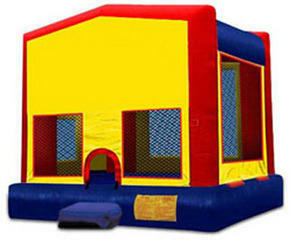 This spacious bounce house provides plenty of pure bounce room for participants to jump their way through the day. Jumping is a great way to promote healthy activity for kids of all ages and will keep kids entertained for hours on end. These jumpers have mesh windows, so parents and spectators can have a clear view of all the fun.